Born on 27th of November 1888 in Geneva, Francois Durafour works for Secheron SA after an apprenticeship of mechanics. 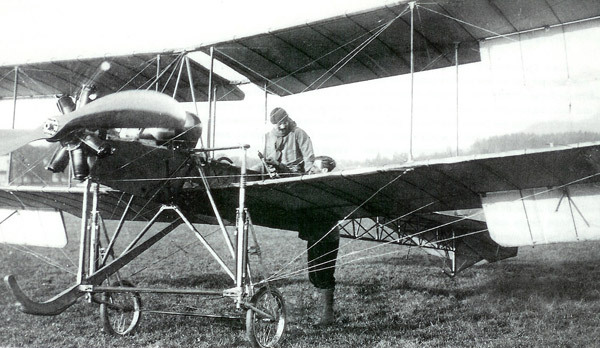 At 22 he leaves Switzerland and ends up by Deperdussin in France where he becoms after only one flight, test pilot. At the controls of an Hanriot, he obtains his swiss pilot licence on the 11th of November 1910. Six months later he reaches a height of 600 meters over Reims and becoms part of the swiss experienced pilot. After few months working as an instructor for Deperdussin he joins the newly created aeronautic school of Avenches as a chief instructor. Durafour carries on the exploits, flying over lake of Neuchatel, then from Avenches to Geneva and one week later reaching a height of 950 meters to beat the swiss record. In the middle of this success story comes an offer to join a group of show pilots to fly demonstration in Central and South America. On the 26th of January 1912, a boat leaves with Durafour, his friend Paul Wyss and their aircraft, destination Porto Barios in Guatemala. The day after their arrival Durafour has already reassembled his Deperdussin and becomes the first to fly an aircraft over Guatemala, it is such a success that the président of the republic Manuel Estrada offers them a 5000 francs prize spontaniously. With this money they move to neighbour San Salvador where success continues, nevertheless the money is rapidely melting and a return to Switzerland planned. Back in Switzerland, Durafour joins another flying circus, Der Bund, where he flies a lot of long distance, high altitude and passengers flights on everything that has wings. In 1914 he is volunteer to join the newly created Swiss air army corps and later works for the French military, testing and inspecting new aircraft. On the first of July 1919 he opens the first Swiss international route, Geneva-Paris. 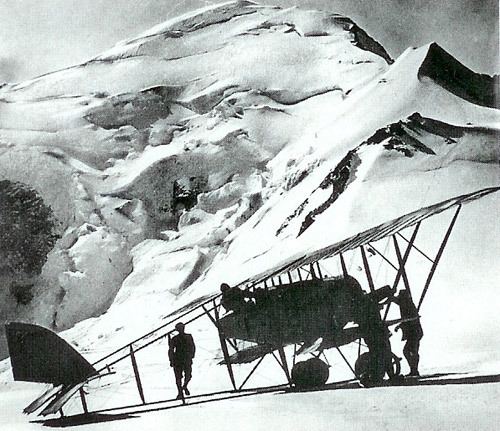 Durafour was always attracted by the Mont-Blanc, on the 30th of July 1921 he goes for it, taking off from Lausanne he lands 55 minutes later on the snow of Dôme du Goûter at an altitude of 4’331 meters. He becoms the first pilot in the world to land and take off form such a height. In 1962 he is invited by the government of Guatemala as a special guest for the 50th anniversary of the first flight. Francois Durafour pass away on the 15th of March 1967 at age 79, having spend 3’263 hours in the air.